I’m a 5X Salesforce Certified professional working as a Salesforce Consultant in ‘Girikon Solutions’, having 3+ years of experience. At the very outset of my career, I started as a VFX artist but today, as I look back, transitioning towards Salesforce, has been the best career decision of my life. 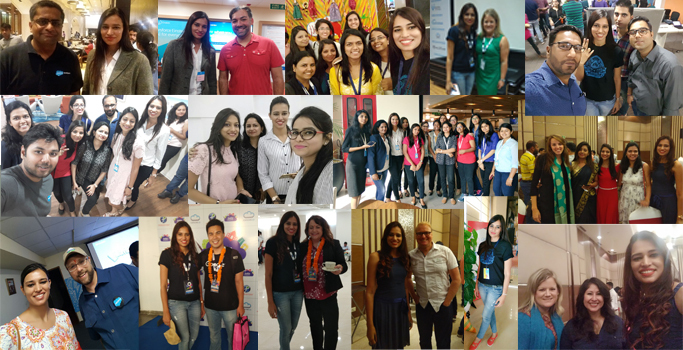 As I entered the world of Salesforce, I realized how Salesforce Community plays a huge role in gaining knowledge from people who knew a great deal about it. Not only the Success Communities help a person grow technically and keep them updated about what’s happening in the Salesforce World, but it also makes you feel motivated to share your knowledge with people who want to learn more about Salesforce. During the past few years, I’ve tried my best to contribute to the Salesforce Community. 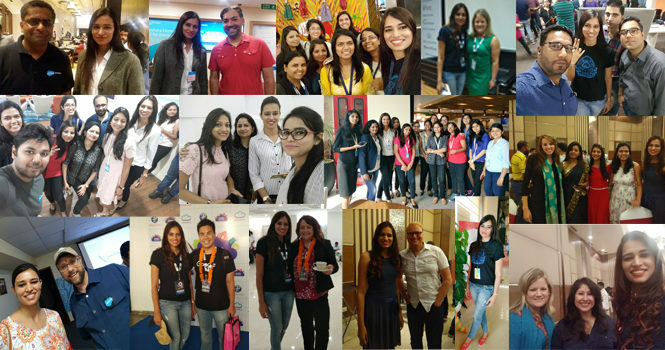 Salesforce Gurgaon WIT User Group: It feels so proud that the Salesforce WIT Group has been started with an idea to develop the women working in technology. We here welcome all the women from any platform, be you as a developer, administrator or consultant in any technology who wants to learn Salesforce to groom, grow and to learn under the Salesforce intelligence network. It would be a great opportunity to know the possibilities you can make by knowing yourself. Probably, you will get to know you have made the right decision for choosing Salesforce as a career. Expand your horizons and let yourself reach out for what you deserve out of best in your life as a top notch professional. It’s for you all the Salesforce women to get connected with each other now to learn and improve your skills. Be globally appreciated and be unknown at your not only in Salesforce platform but globally how a woman can give a hard competition in Salesforce technology. Often, when we talk about the perception of success, we believe that success is an overnight phenomenon. What we don’t view are the years of hard work being done in the backdrop of success stories we are referring to. Success is not an overnight process. Hard work, perseverance and dedication are the key factors that play a fundamental role in achieving success. Currently, I’m working as a Salesforce Consultant and aiming to achieve greater heights in the same platform. As I ponder over my journey, I feel proud of myself that I turned my dreams into reality. I began my career from Chandigarh(Punjab) as a VFX artist. You must be wondering how a VFX artist came in Salesforce. The journey from an artist and emerging as a Salesforce Consultant has been full of hardships which actually helped me to become the person I am today. I belong to a small town where no one was acquainted about technology but with the support of my family and my diligence, I became renowned in Salesforce. I was not satisfied being an artist as I felt that my life could not be limited in being just an artist. That was the turning point in my life which molded my way towards Salesforce. But this was not an easy task for me but due to my determination, I came through from the toughest time of my life. As it is said “Every cloud has a silver lining”. I owe my success to “SaaSnic Technologies” which completely changed my life. I started working in Salesforce platform unknowing of the fact that it will completely transform the course of my life. 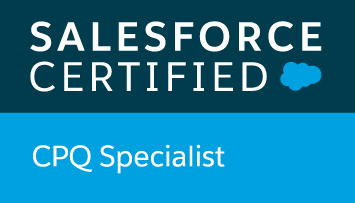 I burnt the midnight oil to learn and grasp all about Salesforce and that hard work paid off. After that there was no looking back and with the passage of time, I grew as a Salesforce Admin. I began to meet Salesforce people and with every new development in Salesforce I learned more and more. Trailhead helped a lot and with every new badge, I felt that I was achieving a new milestone. To my surprise, I was awarded with the title of “Best Employee of the year”. It served as a booster for me and I kicked off with twice the energy and vigor. I became more and more eager to deep dive in my work. Opportunities kept pouring in and I was more than ready to catch them. Through SaaSnic I met Vinay Chaturvedi. That time he was organizing the ‘Noida user group event’. Zachary Jeans came in the event as the guest because he was on the ‘Salesforce world tour’ that time and SaaSnic was the sponsor in that event. So that was my first event in Salesforce that I witnessed. The event was attended by some of the well-known personalities in Salesforce. The speakers were awe-inspiring and gave magnificent sessions. At that event I came to know about Salesforce Community, its working and about the outlook of manifold people in Salesforce. The event gave me new insights into Salesforce and new zeal to work in Salesforce. At that time I made up my mind to participate in as many events as I could broaden my knowledge in Salesforce. This also guided me in the progress of my career. Salesforce events and conferences served as a lighted candle in my learning process. After that, I came to know about WIT (Women in Technology). WIT was basically an initiative to assist females not only to work in Salesforce but also to grow in technology. The thought of establishing my own group came across my mind. But it takes a lot of strength, courage and hard work to turn perception into a reality. That time Vinay helped me to establish “Salesforce Gurgaon WIT User Group” and I became the leader of that group. WIT will work seamlessly for the betterment of women, and to make them realize how valuable, powerful and commendable they are. The purpose of starting WIT group is to promote more and more females in this high-tech world by conducting stirring discussions with them. WIT is a female-centric group where females have the freedom to come up with their vision, issues, ambitions, and guidance they are viewing for in the technical world. I started organizing events for my group and gradually it extended to 130 members. Special Thanks and Gratitude to SaaSnic Technologies and Vinay Chaturvedi for trusting and giving me an opportunity to flourish in my life and Salesforce for providing a global platform for everyone to grow with it. “At times, our own light goes out and is rekindled by a spark from another person. Each of us has cause to think with deep gratitude of those who have lighted the flame within us.” by Albert Schweitzer. From just another small town girl to Salesforce Consultant, this journey has made me more ambitious and it seems my yearning for gaining knowledge will not end. I won many titles, passed many certifications but as it is said “Knowledge is Power” so I am on my way to achieve more, reach the zenith and become more powerful. Thanks to Salesforce, Salesforce Community, Salesforce MVP’s and Cheers to Salesforce Ohana. “Work for cause not for applause” – Leyna Hoffer sets a seamless illustration in the world of Salesforce. © Soniak Tomar 2017. All Rights Reserved.